James Downes, co-founder of Maker Life, explains how we are to bridge the Digital Skills Gap and ensure we have enough trained programmers to meet future demand. A digital skills gap is looming. Within just two years there will be a shortfall of nearly a million skilled programmers and other technical professionals, according to the EU Commission, and the demand for programming skills already outstrips supply. Part of the problem lies in education – teaching children programming is difficult and requires hard skills, plus equipment can be expensive and difficult to use. However, it’s incredibly important that we bridge this gap before we fall too far behind. Wired Magazine has predicted that coding could become the next main blue-collar job which, if true, could leave us a generation behind other parts of the world - affecting our economy and the job prospects of today’s young people. One of the best ways to teach kids coding and other technical skills is to involve them in a hands-on project. 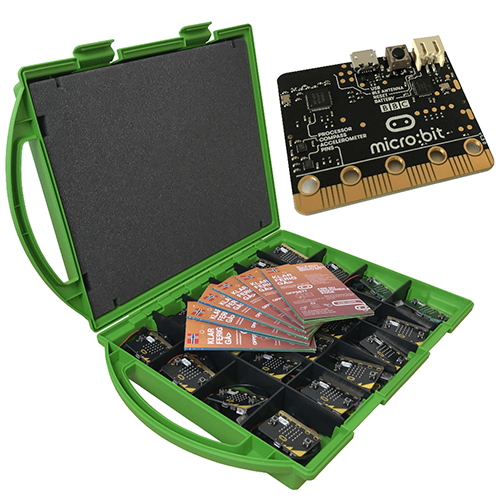 With the launch of inexpensive single-board computers (SBCs), such as the Raspberry Pi and the BBC micro:bit, programming kits have become much more widely available. The issue with most kits, however, is the level of complexity. Most adults, let alone children, aren’t ready to jump straight into programming a home automation system quite yet. Starting with something complicated is more likely to confuse and scare children and teachers alike, putting them off trying other coding projects and programming in general. Children, parents, and teachers all need to grow their confidence and understanding with simpler projects – such as a digital clock or weather station – that both children and adults can complete, yet are interesting enough to capture the imagination. Much like learning another languages, it’s important that kids start learning programming skills as early as possible. In fact, Tim Cook, CEO of Apple, has called for coding to be taught alongside other modern languages to develop programming skills as early as possible. Yet, a lot of single-board computers require the use of solder to attach components. For younger children, this clearly isn’t safe. Even with teenagers, it might be asking a lot for teachers to supervise 30 youngsters with soldering irons. Not to mention the need for 30 soldering irons. Creating kits that don’t require soldering is a simple design challenge that should be built into the brief, just like anything else. It’s possible to design pieces that can slot together or clip in place, making the connections without the need for a dangerous soldering iron. A significant reason for the rapidly growing skills gap is that the digital revolution came almost too quickly. Parents and teachers aren’t digital natives themselves and were probably never taught coding when they were at school. As such, they often feel out of their depth when it comes to programming. Some kits which have been designed for education require someone with existing programming skills to interpret the instructions. If a kit looks too puzzling for an adult to figure out, they won’t feel comfortable teaching it to children. To develop kits that are straight-forward and come with instructions suitable for anyone – professional or a total novice. Parents and teachers will quickly grasp how the kit works and will feel comfortable using them with children. Working together on the kit and seeing it through to completion will grow everyone’s confidence. Programming falls into the STEM (science, technology, engineering and maths) group of subjects. Historically, STEM jobs have been seen as ‘male jobs’ for some reason, leading toys and kit manufacturers to design specifically for boys. You get robots and guns and giant walking spiders – projects that tend to appeal much more to boys than girls. However, coding is definitely just as much for girls as it is for boys and some of the biggest tech companies in the world are run by women. It’s incredibly important that we encourage girls to take up STEM subjects in general and create coding kits that appeal to both genders. There are loads of interests and activities that are shared by girls and boys. Bigger kids love to discover the world around them, so a weather station or star-spotter may capture their interest. Smaller kids love animals, for example, so a kit designed around animal noises could be fun. Even Lego is creating its own programmable kits! Frustration and disappointment are the quickest ways to turn kids off learning anything – especially something that can seem as complex as coding. Kits can often feel like a lot of hard work and drain any sense of fun and excitement from the project almost as quickly as you start. The aim isn’t to fast-track primary school children into becoming expert coders by age eleven, it’s to inspire them and build confidence in their abilities so that they want to keep learning and developing their skills. To make kits fun. If kids are enjoying what they are doing, they will want to keep doing it. If they can see their skills improve, they will feel a sense of achievement. Put those two concepts together and you get a fun, achievable coding project kit. Coding isn’t just good for the labour market, of course. More and more aspects of our lives will be dominated by digital, so learning to code will be an important part of learning to interact with the world around us.